New paper came out which is extremely compelling. They are observing a 1 GeV gamma ray signal out of the plane of the Milky Way… from no specific source. This is troubling and needs to be resolved by looking at some of the dimmer galaxies – which have been rotating too fast for their matter. I’m not sure I understand how there could be a spherical expanse of dark matter, but it does match some equations. More importantly, excess 1 GeV signal does NOT match the products of annihilation for a 31 GeV particle. There should be a tail of reactions which go all the way up to 62 GeV. No sign of that has been seen. 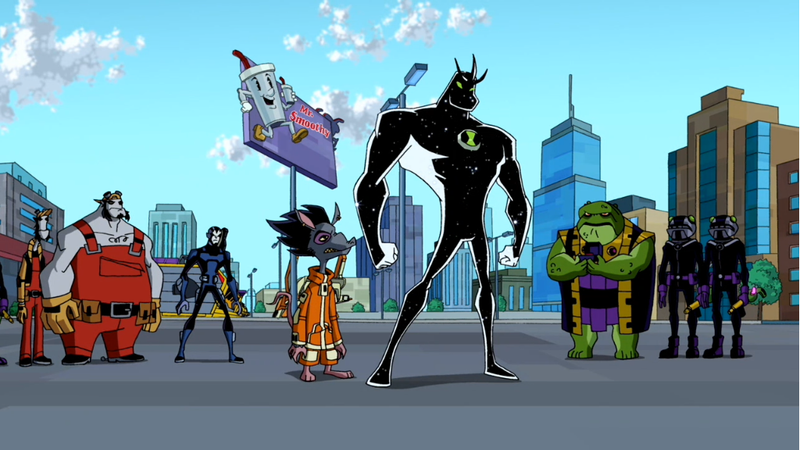 Ok, so we should be able to detect dark matter Annihilaaargh (Ben 10 joke) annihilations in our solar system. But not everything has to exist, just because its on some super-hero’s costume. +1) it is necessary for gravity to work at Galaxy scale -1) So our equations/understanding of Gravity is wrong. +2) It might be one of the cool super symmetry particles. -2) yeah, I love string theory – but I don’t believe it. +3) It explains a high GeV gamma signal -3) The universe is a weird place, I can’t explain everything. Actually, since Hawking’s Radiation may have been removed, micro black holes may be a more serious candidate again. Interactions between Micro black holes are probably similar to dark matter…and the 1 GeV signature is much more believable. Of course, they are my favorite hammer … so this is a job for Nail! I wish them luck – and thank God that I’m an engineer who gets to point and laugh at their misfortune. (Up till the time they actually build a Brane Engine and I’m required to operate it in a safe manner and not destroy the multiverse.) yeah, the Risk report is gonna take a while on THAT one. No, I’m not posting to your calendar, but you might as well know what is going on this summer. I have a ton of activities, personally, that you don’t need to know about, but you might want to know the more interesting Mad Science items. You may remember my old “Doom Box” well that needs an update, plus a stripper pole and some more light shows, you can never have enough. I’ve spoken with my artists, designers, and the Mad Welder, and he thinks it can be done. I will be at Dragon Con – SO, the Space Pirate Amazon Ninja Catgirl party is so far a go! 2) I’m working on an outside device as well, a natural gas flame in the shape of a giant star. Should be a lot of fun. (again the mad welder thinks it can be done. 3) Looking for volunteers for the S.P.A.N.C. party, we’ll need Catgirls and Pool boys. (As well as folks who want to work, put money in for booze & food, etc. 4) In my ample “free” time, I’m doing a lot of survivability work, so we could have further panels on that stuff. EMP, Chemical Weapons, etc. How to design against the “end of the world.” Russia is making us all feel just that less secure, aren’t they? So here I am working for NASA. Now, I never turned a wrench on a rocket…though I approved parts which went on rockets plenty. Mostly I’m a “Natural Environments” guy. Ok, so sometimes it storms. Meteor storms. So a buddy of mine invented Video Meteography. This is the process of pointing a light-intensified camera at the sky and video taping for a few hours. Digitize the video and pick out things that change. You have to get rid of the bugs, the planes, the satellites, but sooner or later you are down to meteors. It helps if there is a storm going on, you get better results. I’ve gone to Spain, I’ve gone to Reno, I’ve worked in the Lunar Observatory, I’ve been at the Von Braun. None of these have gone as planned- though many have worked out fine. One of the most memorable events was working at the Von Braun Observatory for a Leonid meteor shower back… oh probably 2001. Now the camera we mounted up on the roof was so sensitive that we were constantly worried about burning it up. There were a lot of people gathered out on the lawn to watch the meteors with us and we warned them against using flashlights or any bright lights. Three o’ clock in the morning. I’ve had a thermos of Columbian coffee pitch black and I’m having trouble staying awake. I can’t work outside anymore, since it is nice and quiet and the people working counting are lying on their backs…well… I’d just fall asleep. SO, Leigh has me working with her inside the VBO, watching the monitor. We’re only seeing a few degrees of sky, but we get more meteors than the people on the grass, since we can see tiny & faint meteors that the groundlings can’t. Suddenly, the screen goes completely white. I’m out of the chair and heading for the door. I’m going to find the A$$#*!& who decided to destroy our camera, drag him out of his car and beat him do death with the charred metal frame of the image intensifier. “ooooohhhhhh” I hear the crowd outside applauding the biggest meteor they ever saw. I hit the off button on my temper and walk outside. The light of the meteor is bright enough to see by. There is still a giant S curve in the sky from the meteor trail and a crackle hiss like a breeze, though the air is still. It was amazing. Explanation: This dramatic four-frame animation shows a fireball meteor and its developing persistent “smoke” train, recorded two weeks ago in skies near Salvador, Brazil. Indeed similar sights are astonishingly familiar world-wide to witnesses of this November’s fireball-rich Leonid meteor storm. A few skygazers even discovered that some bright Leonid fireballs made faint, gentle, hissing sounds(! ), a surprising effect only recently appreciated and understood. Accounts of fireball meteors making noise have long been viewed with skepticism, particularly because sounds were reportedly heard just as the meteor was seen overhead. But light travels much faster than sound so, like delayed thunder from a distant lightning stroke, a meteor produced sound should only be heard long after the meteor streak was seen. A sound explanation supported by laboratory tests is that turbulent plasma created by the meteor’s passage generates very low frequency radio waves. Traveling at light speed the radio waves reach the ground simultaneously with visible light where they are strong enough to induce oscillating currents and audible vibrations in common objects like grass, leaves, wire-frame glasses, and perhaps even dry, frizzy hair. There are a lot of pictures here, so if your browser doesn’t put them up right off, hit MORE or the Title and get the rest. Here is a shot of someone doing this in 1950… identical process. So, the only real difficulty in keeping the grad student lifestyle is that the “powers that be” want you to keep taking (and passing) their classes. They think this is fun, as they endeavor to put thousands of roadblocks between you and actually accomplishing this. They think it builds character….well… I’m a character all right. Since our classroom/study hall is currently being used by a bunch of droning undergraduates, we graduate students are lounged around the staircase bitching about everything. Some poor undergraduate wades through us, just as the red-spinning light comes on above the door to the reactor control room. I’m relatively sure that the French instructor wasn’t worried and was just shutting her door against this sudden wash of noise, but her students saw the teacher ‘hurriedly’ get up from her desk and cross to the door. Realizing the great injustice, misunderstanding, and humiliation occurring here, we nuclear engineering grad students rushed to help… well hell, here are the stairs, I bet we belong in our offices now. Yeah, we were NEVER near there, EVAH. And to the best of my knowledge, there was never a French class in that building ever again. So, a friend of mine (Stephanie Osborne – Sci Fi & Sherlock Holmes Writer) was just complaining that her editor didn’t know what a Faraday Cage was, and though that she should explain it. I really don’t remember a time when I didn’t know what one was, but it did remind me of a story. A long time ago in a Galaxy far far away… ok, not that story. So, I was once in Graduate school – I was in grad school longer than I’ve held most jobs since – back in 1992, when the Plasma Physics department at my school went belly up. I’d transferred to this PRESTIGIOUS university because of their PP department, only to find out that my major professor was the ONLY PP professor still in residence. There was a large Plasma Engineering group at the Nuclear Engineering school, but while it had looked like a large-cohesive friendship when I applied, the friendship between the NE and PP schools was roughly 1 professor deep, and he was retiring at the end of December. Well, some of the best plasma toys were in the basement of the Physics building, but they were going to be locked up for Christmas. At the end of Christmas break, none of us NE students would have Physics Building pass cards, so our toy box was being taken away from us. We had a long talk with the retiring professor and he lent me his card for the day. Sunday night, midnight, the last Physics student left the building. Five minutes later there was a pack of feral grad students in the basement, armed with wrenches. The foremost object of their desires was a gigantic, golden, Faraday cage. To conceal our “acquisition,” I built a new cubical out of lead bricks (oddly enough, those rare objects are common as dirt at the bottom of a retired nuclear reactor) It completely surrounded our new Faraday cage. As we already had 3 lead cubicles, this just added a fourth. Frankly, since nobody really cared what the Plasma Engineers did – except for our professors – I doubt that anyone noticed the addition. 6 am, after a very long night, we had a new cubicle filled with shiny new toys. We were all sworn to secrecy and we headed home – Thus ending the only successful gold robbery in the history of University Education. Hard to believe, that still seems like … well … a long time ago, but hardly 20 years ago. Blah. Still was funny as heck. Almost as funny as firing off the 3′ gun and nearly killing everyone. (They wouldn’t let me shoot the 8′ gun.) I loved graduate school. If they’d have let me, I’d never have left. What initially tweaked me to the problems with Global Warming? Well, I looked at the Hockey Stick and didn’t see any interesting features before 1970. It was flat as a pancake. I’m a history buff, but I figured everyone knew about the Medieval Warm period. It happened. I’ve seen several papers “debunk” the “theory” that temperatures were warmer then…but people are excavating Viking farms from the Greenland Glaciers. It used to be common and interesting. I used to read about it in Archeology magazines … suddenly it disappeared. Still, scientifically, that would be an interesting subject…but they erased history to make the current problem seem worse. They erased a lot of history and seem to be continually revising things to make their points. An author – Jarad Diamond – Produced a book “Collapse” which tried to show that humans keep destroying their environments. He had to ignore the global warming and cooling cycles, which apparently drove several of these collapses. It made the science … frankly crazy in places. “These people destroyed their environment…which is why it lasted 500 years and then they moved 100 miles and have kept going another 500 years.” Crazy if you believe that the cause was people, not natural environment shifts. Atheists like to mock the Christians for Revelations, that there is an “End times” and we are living in it. But, Malthusian thinking is no different. They put a scientific venear on their “End of the world” rhetoric, but it isn’t really different. REPENT NOW, STOP BURNING COAL OR YOU WILL DIE IN THE FIRES OF … Global Warming. It is False Science. Environmental Scientists Getting Things Wrong: DDT, Global Cooling, Global Warming, Ozone Holes, Spotted Owls … This is off the top of my head, probably missing about everything. Still, lets not limit ourselves to Environmentalists. Science is frequently wrong. Any Astronomer can point you at a dozen changes in the way we’ve viewed the universe in the last twenty years, we’re revamping Black Holes as you read this. Medical science is wrong on a daily basis. There is still nothing wrong with eating salt…studies showing this have been miss-interpreted for over a generation, they actually shown how much people need Potassium, which is frequently missing from our diets. American diets are high in corn and weak in green veggies. We get plenty of sodium but no where near enough potassium. But honestly, this isn’t about science, it is about Government interference in science. Belief or dis-belief in black holes or dark matter (or evolution for that matter) don’t affect the price of tea in China. Spending a 13.25 billion dollars searching for the Higgs Boson…which balances a cute mathematical equation and little else… doesn’t affect gas prices (much). But it does have a measurable effect. US spent 90 billion dollars on green energy to combat global warming… more than a percent of the budget, so more than a percent of our tax dollars. I guess that only comes to about $100 bucks for me, so still only a big cost. What has had a HUGE effect? Oh, adding ethanol to my gas costs me 2 mpg ~ 10% and raises the price of gas 10 cents. This costs me about $500 a year, big but not huge. Still, a hundred here and a hundred there, sooner or later I just can’t afford to pay my heating bill. When I moved into my house, winter heating went to $120, this year – 10 years later – it was nearly $300. Why is electricity so expensive? My annual bills have gone up over a thousand dollars, now we’re talking huge. And with health care rising by $3600 last year, my last two raises still have me bringing home less money each year. You have to watch these scientists. When they are on their own dime, they can do a lot of good work, but as soon as they are being paid by the government, their research will cost you a fortune. In many cases, your money will go to something with less benefits than the discovery of the Higgs Boson.